Title: Elmer Jackson. Coroner's Reports, Duluth District. No. 59. Title: Elias Clayton. Coroner's Records, Duluth District. No. 60. Title: Letter from J. A. A. Burnquist to Maud Craig, July 2, 1920. Title: Letter from Anton Gronseth to J. A. A. Burnquist, June 19, 1920. [Transcript]. Title: Memorial from the Colored Ministers of Minnesota, July 21, 1920. [Copy 1]. Title: Advertisement for the John Robinson Circus. Title: Warning Given to Snelling as Mob Started Trouble. 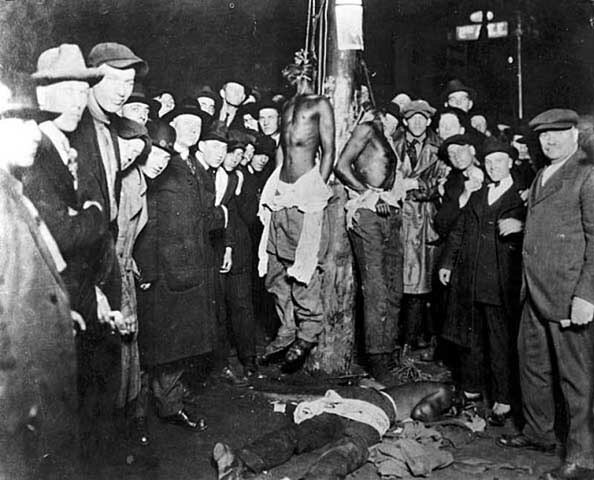 Title: Troops Guard Duluth After Lynching of 3. Title: Troops Sent to Duluth by the Governor.